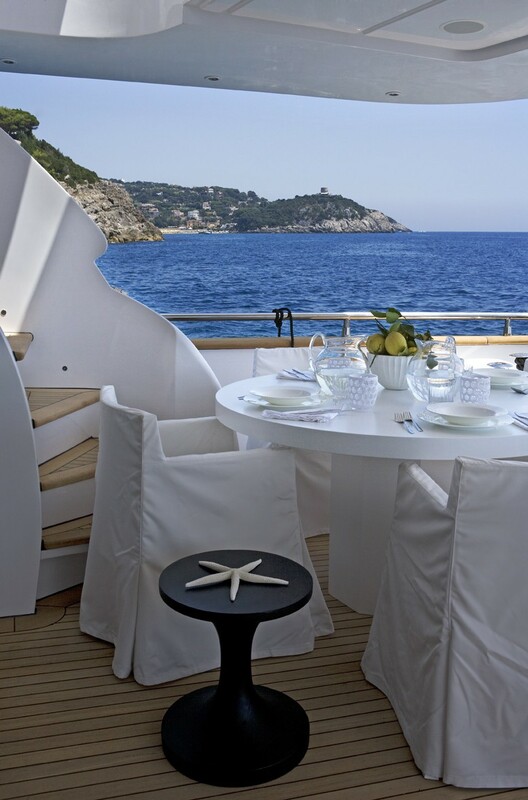 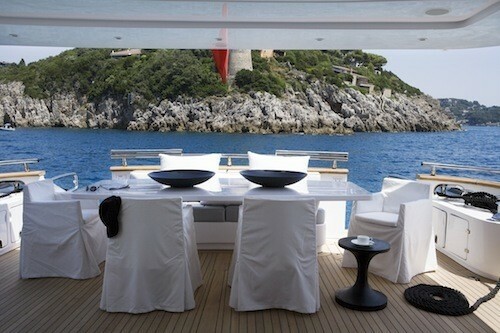 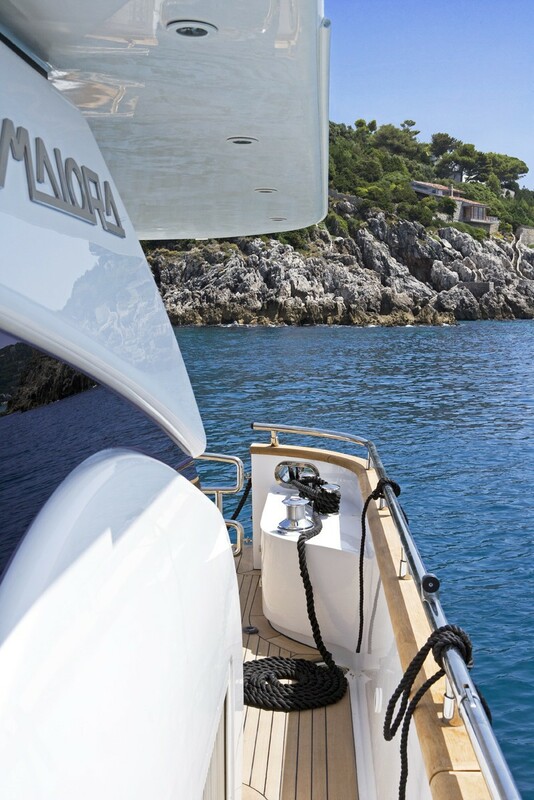 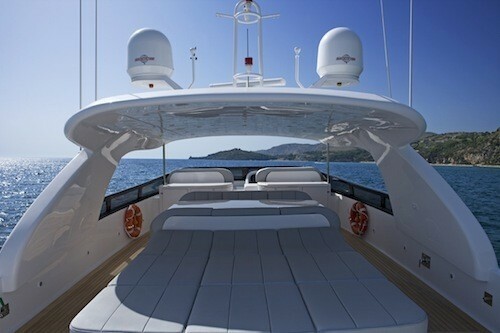 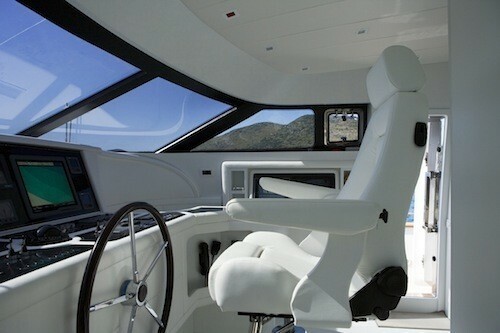 Yacht Nicka, a 27.40m luxury motor yacht by Maiora was design with a perfect charter yacht in mind. 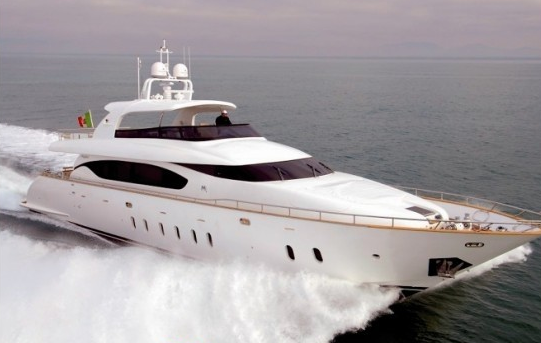 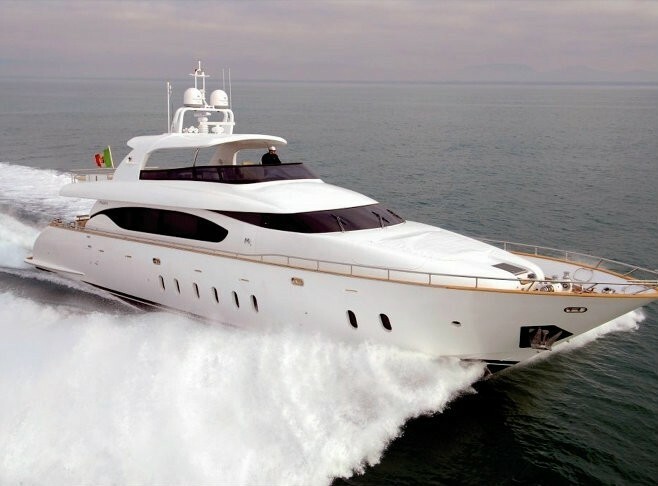 Her cruising speed of 26 knots is perfect to get you anywhere on time. 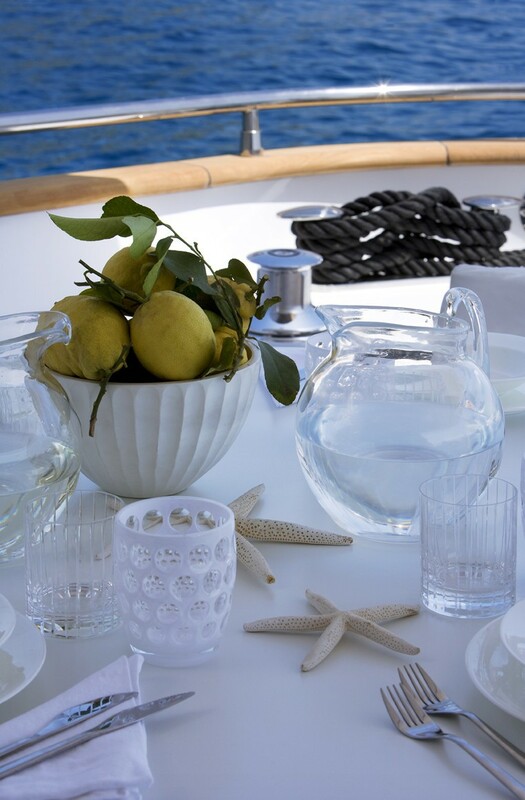 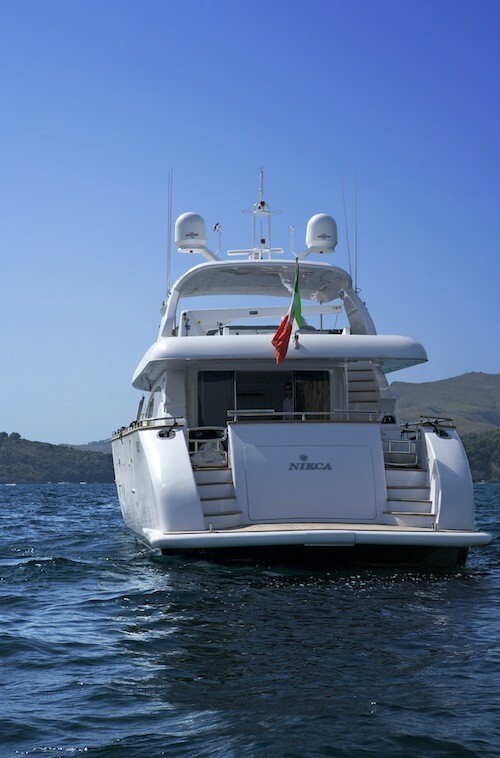 Nicka Yacht is fully equipped with a variety of water toys and accessories for those who prefer their holiday to be a bit more active. 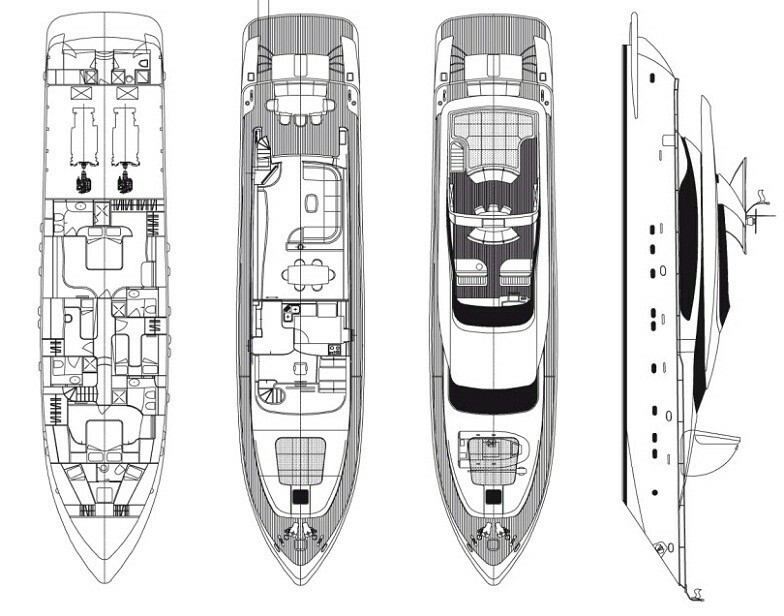 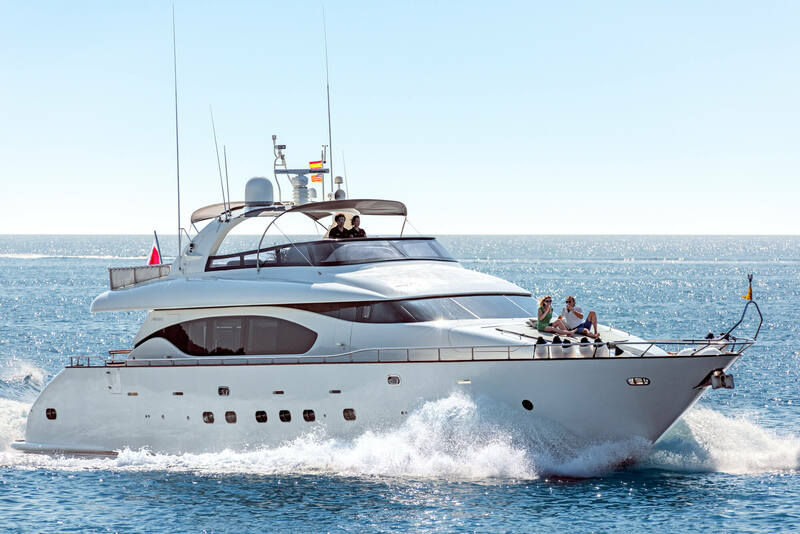 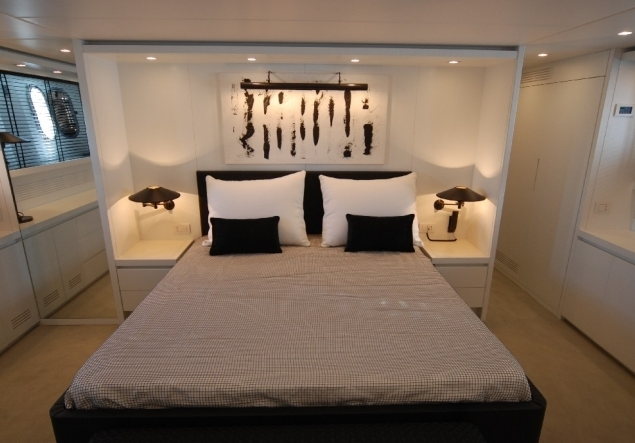 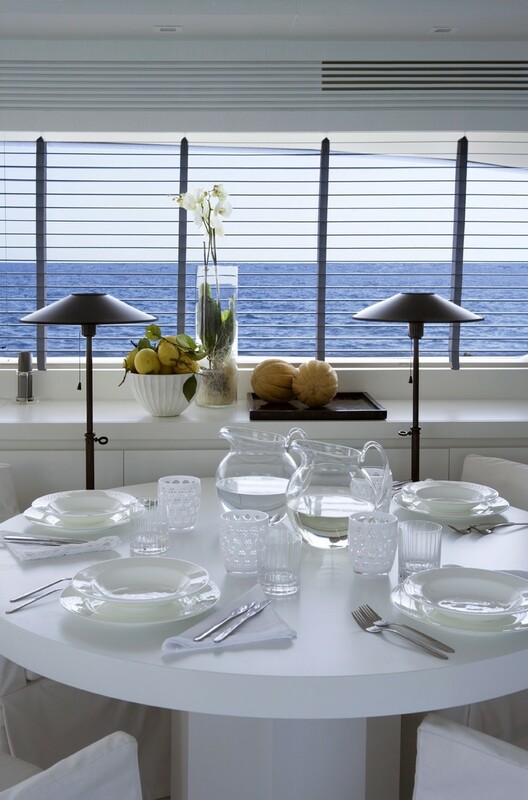 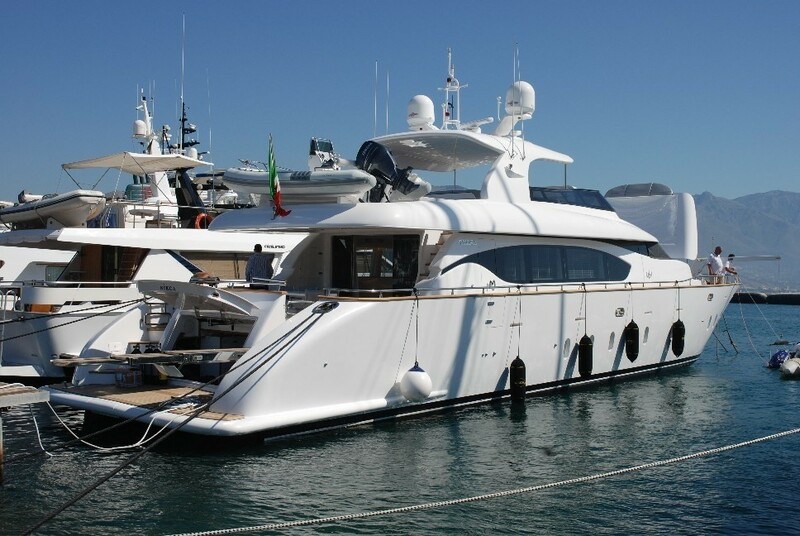 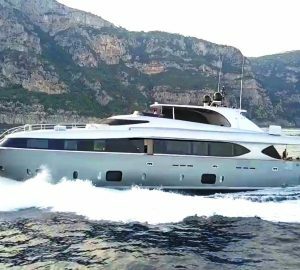 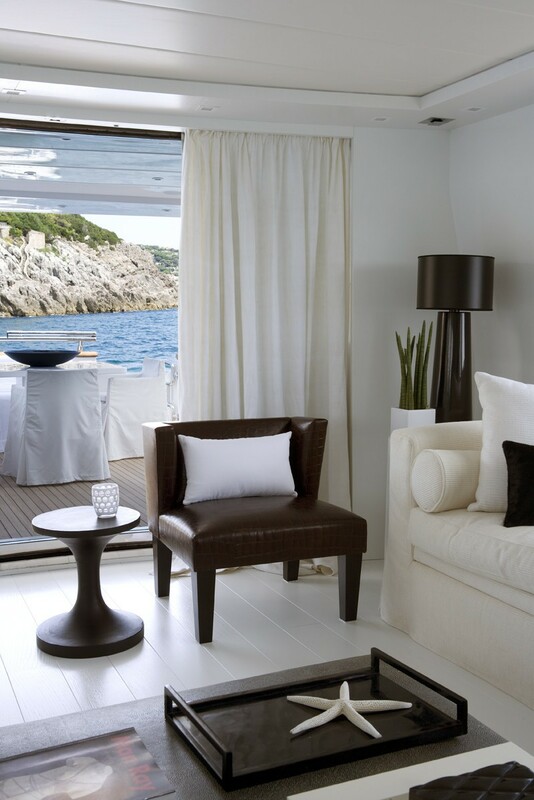 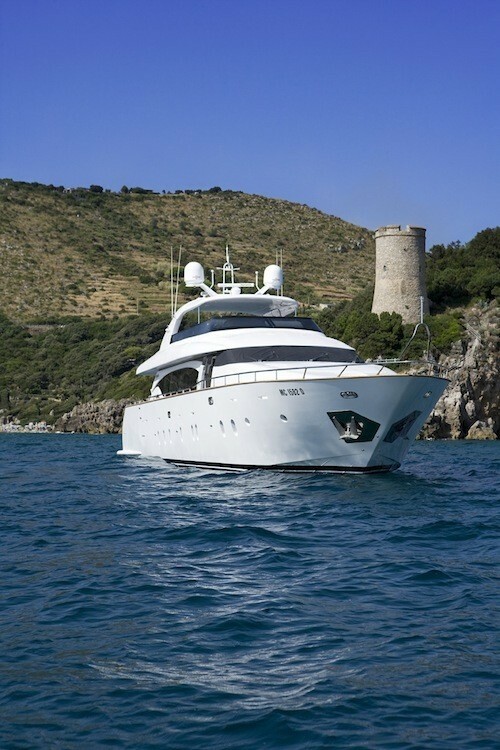 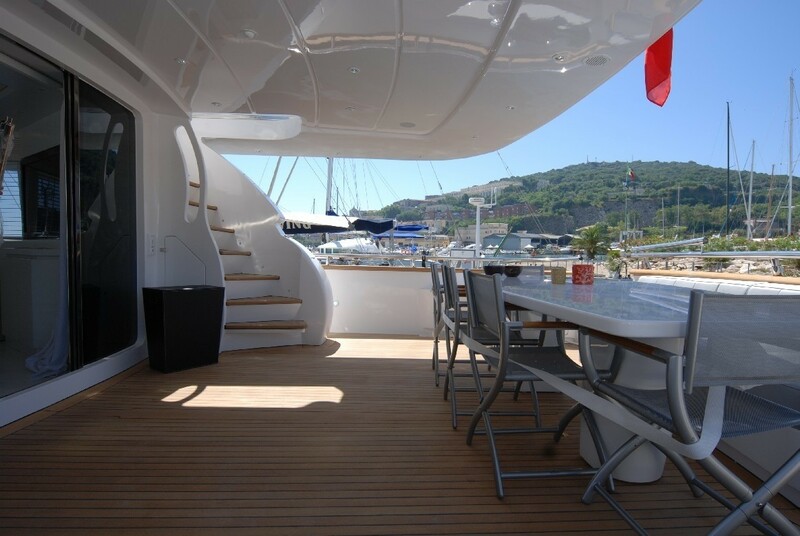 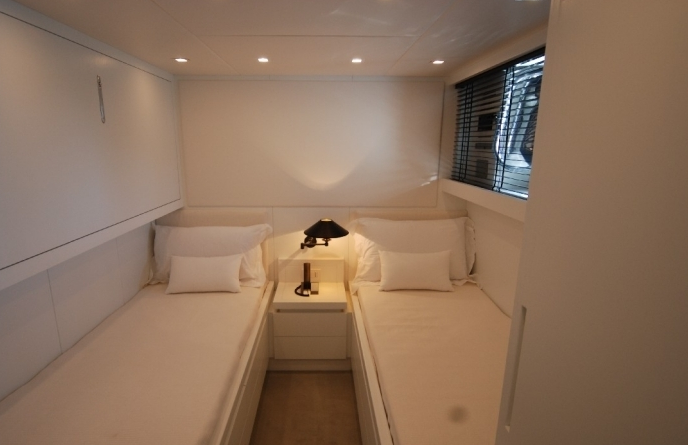 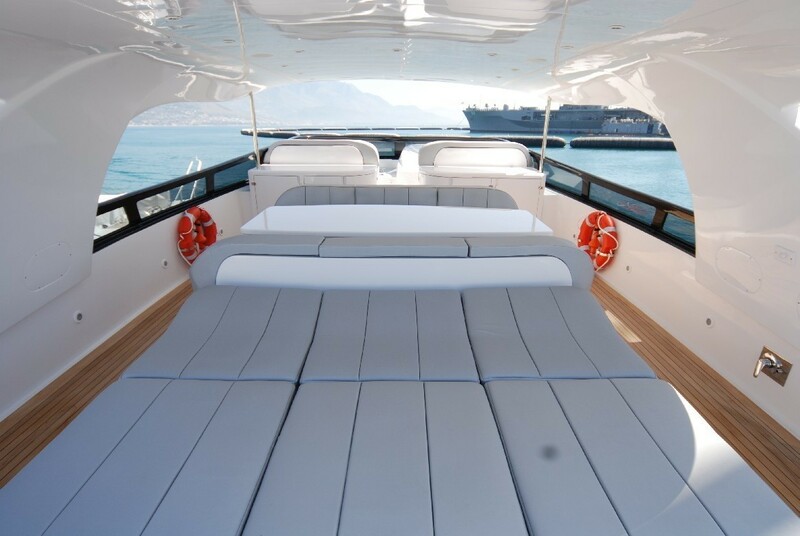 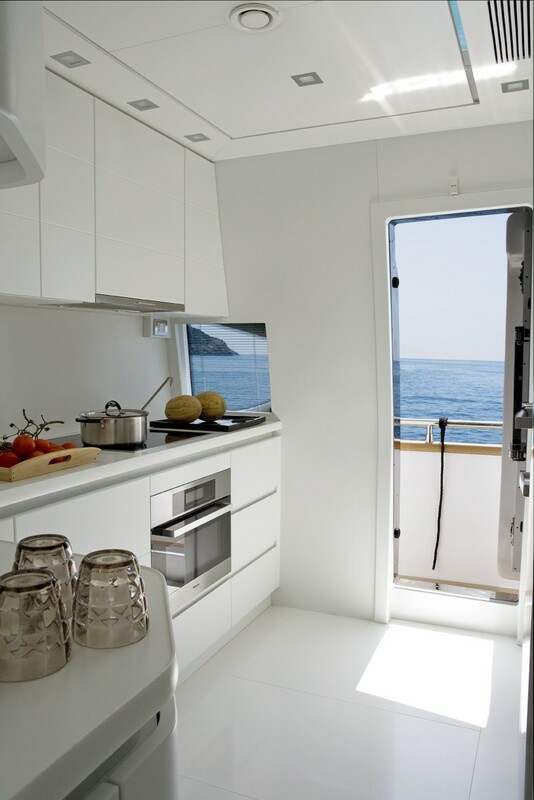 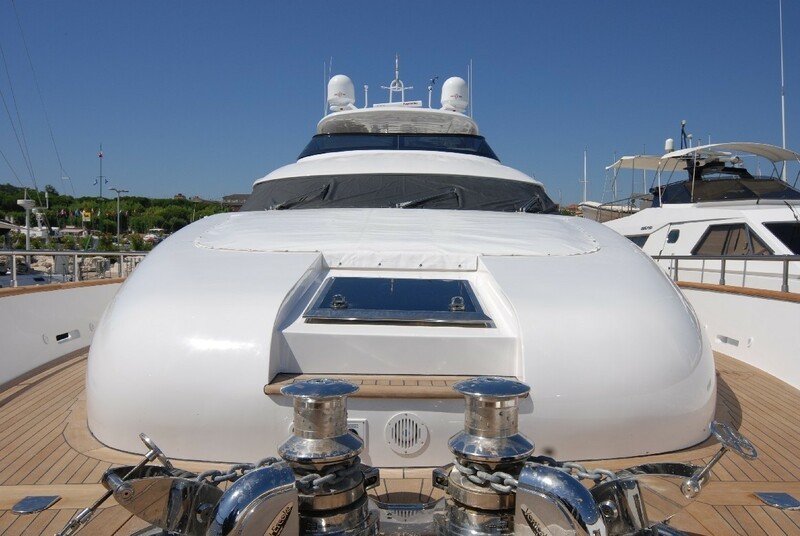 The luxury motor yacht Nicka includes a sleeping area on the lower deck, with the owners full beam suite located amidship. 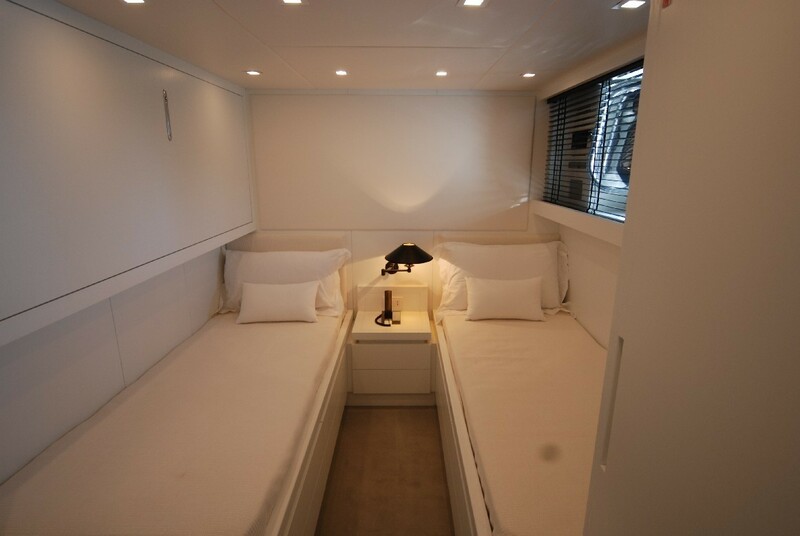 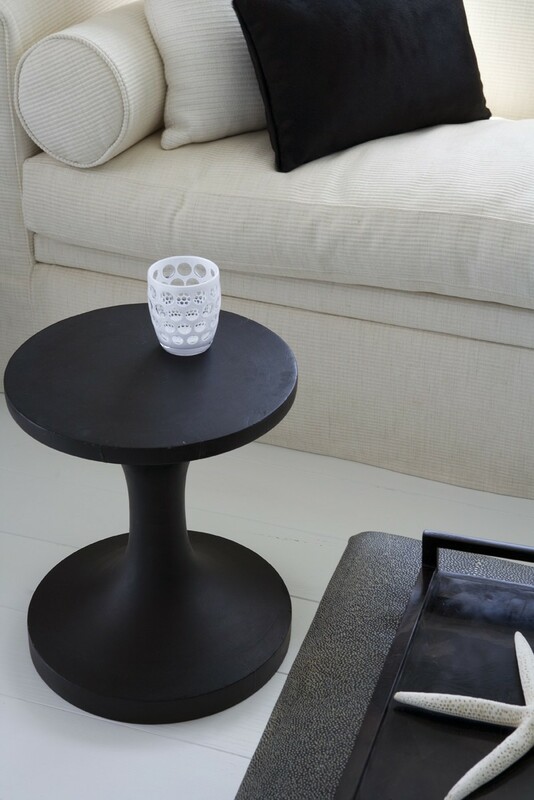 Centrally placed double bed, a corner for relaxing, an office corner, dressing room and a private bathroom are all comforts of the Owner's suite. 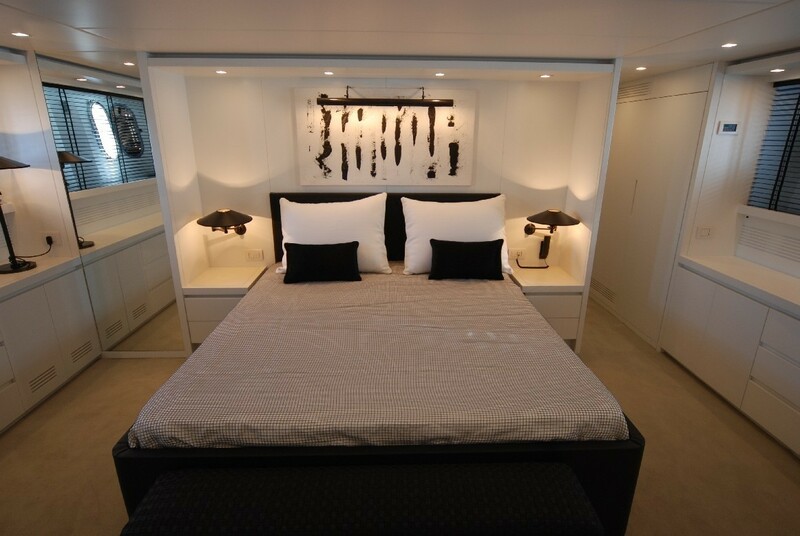 Aft of the Owner's suite there are two guest cabins, both of them with beds to port. 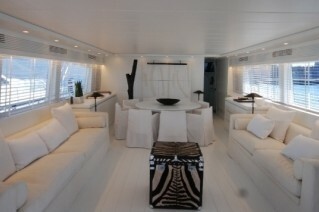 There is also a full beam VIP suite. 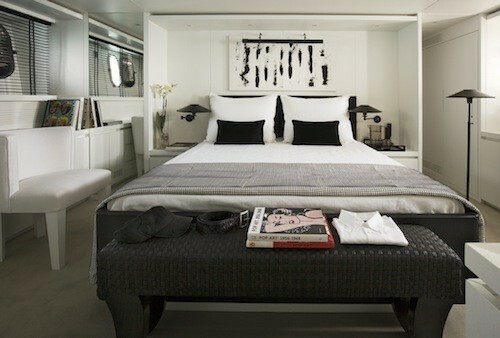 Each of the guest cabins are provided with their own en-suite bathroom. 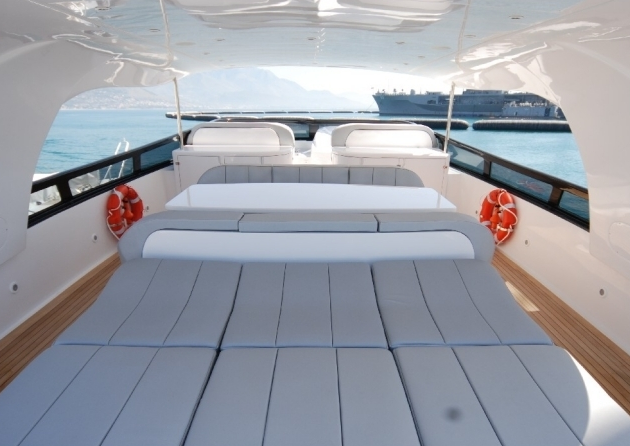 The amenities on board of Nicka luxury charter include a Tender 4.70 mt with 90 hp outboard engine, 2 Yamaha jetskiis, Water skiis, diving equipment, banana and others. 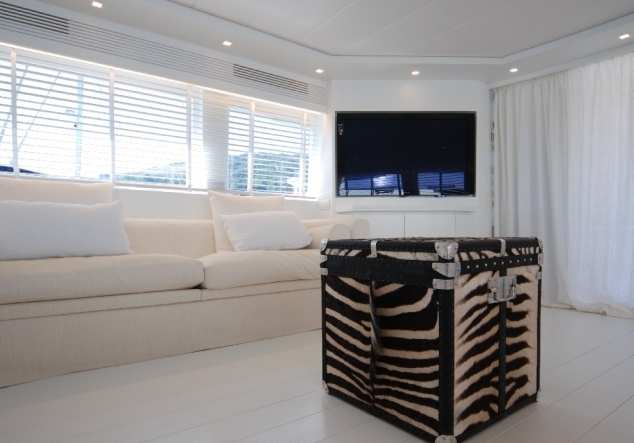 The Entertainment equipment includes 50' LCD Tv in the saloon, 37' in the master, 20' in the vip and 15' in the guests cabins, decoder sky in each cabin, track-vision and internet and a dolby surround stereo.